We think of millionaires as those who were born into money and have gold-plated everything around their homes. That may be the case for some; but I believe when you look at many self-made millionaires, you find that they became wealthy through hard work and the right mindset. There are also more millionaires than we realize – close to 11 million people, as of the end of 2016. In pure number terms, that’s more than the population of 43 American states. Knowing that, I think it’d be very easy not to realize someone is a millionaire because they don’t act in a way you’d perceive a millionaire would act. If you want to get rich and grow wealth, here are nine of the top tips, straight from self-made millionaires. You’re not going to become rich by skipping that $5 latte on your way to work every once in a while. Saving money on small things is great, but it will only take you so far. Most experts recommend that you keep your mortgage payment less than 28 percent of your net pay. I’d dare say that many self-made millionaires would advise you to go as low as possible. A palatial estate is great, but if you’re house poor, you won’t be getting rich anytime soon. Just take a look at Warren Buffett. We live 15 minutes from his house here in Omaha. While nice, it certainly doesn’t look like the house of one of the richest people in the world. Cars are the same way. The average car payment is $500 and continues to increase. Many experts recommend that car payments, inclusive of insurance, make up no more than 10 percent of your gross pay. Again, most millionaires would pay cash for their car, and/or be satisfied with a reliable car without flash. Shaving just a small percentage off each can be life-changing money that you can use to build real wealth. Warren Buffett is famously quoted as saying, “Do not save what is left after spending, but spend what is left after saving.” Many self-made millionaires have the same mentality. They pay themselves first, by saving, then turn their attention to spending on their needs. I know you may be thinking that it will be impossible for you to save to the point of becoming a millionaire. I get that, but building wealth starts with a single step and using that to build momentum. Set a goal for yourself to save $25 or $50 each month and grow as you’re able. If you don’t have an emergency fund, focus on that first then start saving and investing more seriously. If you need ideas on how to save more money, check out these 35 ways to save more money each month as it provides a lot of money saving opportunities. Find a high-yield savings account, Barclays as they pay 2.20 percent on your cash (22x the national average) They let you open an account with no minimum balance and use it as a jumping point to save more. 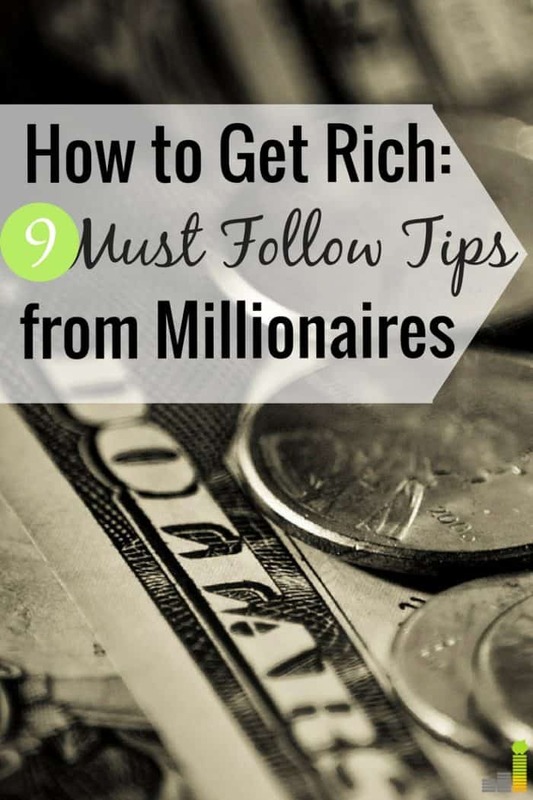 You likely won’t get rich without having multiple streams of income. Making a good income from your day job is obviously important, but it will only do so much for you. 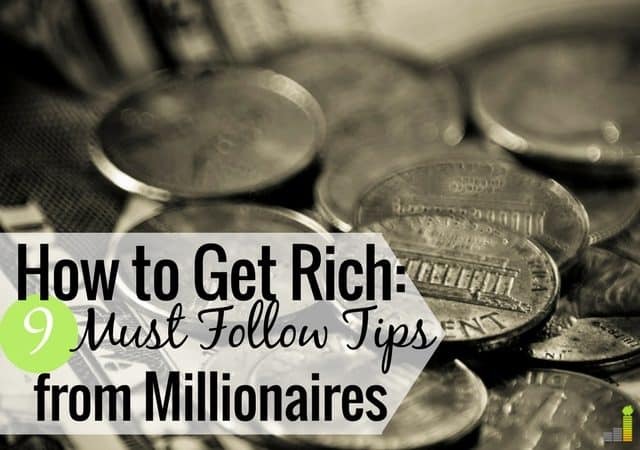 Looking at many self-made millionaires, they have multiple streams of income. This can include passive income from investments in the stock market, to different business ventures, to real estate investments to just name a few. Creating multiple streams of income doesn’t happen overnight, and it’s okay to start off small. Start a side hustle, pick up a part-time job, monetize a hobby – any of those work as they all create different revenue streams. Not only will they help you weather the storm if you lose one stream, but it will help you grow wealth for the long-term. You are the most your important asset when it comes to building wealth. Let that sink in for a moment. Yes, I know there are circumstances out of our control. We have jobs we don’t like or are stuck with a company that doesn’t value our work. None of that matters as you’re the one responsible for growing and improving yourself. Self-made millionaires never stop learning and challenging themselves to accomplish more. I heard this firsthand when I met Warren Buffett several years ago. Listening to him and Mark Cuban talk, one thing stood out – they are constantly learning. It’s no wonder; both are self-made billionaires. This ties in directly with investing in yourself. Becoming great at what you do is a direct result of that investment of time and money into your field or craft. This doesn’t mean to call yourself an expert, as anyone can do that. It means to become great at what you do. People who are great at what they do stand out from the crowd and succeed in their chosen industry. This not only results in being recognized as great, but it often comes with increases in income. We’ve all heard the phrase “Keep it Simple Stupid.” There are many get rich quick schemes out there. What a lot of them have in common is crazy tricks or something that most simply don’t understand. They only make a select few individuals rich, which are most often those at the top of some type of pyramid scheme. Borrowing again from Warren Buffett, he says you should invest in what you know – not something complicated or difficult to understand. If you like and know real estate, then invest in real estate. If you like to invest, then throw your efforts at investing in the stock market. If you’re technical, use that to help your employer or start your own business. It doesn’t matter what it is, but investing in what you know will help you grow wealth far more often than not. Investing in the stock market is a significant part of becoming rich. But, how much should you invest to grow your wealth? Most experts, financial advisors and millionaires I’ve spoken with all say the same thing – invest at least 15 percent of your gross income. The easiest and best place to start this is with your employer-sponsored 401(k) plan. Remember, if they give you a match – which you definitely should take as it’s free money, that amount goes against the 15 percent, meaning you need to save less. Don’t let that stop you from saving more if you can. After you get at least your match, look to max out your contributions or open an IRA. If you’re new to investing, a robo-advisor like Betterment can help as they both provide guidance for relatively cheap. Starting at 15 percent is great, but if you want to get rich and build wealth, you want to invest as much as possible and as soon as possible so time can work its magic. If you can’t hit that amount and are investing with little money, don’t let that hold you back; rather, still invest so you an take advantage of compound interest. I love found money. You weren’t expecting it, and you begin to think of the possibilities of how to use it. Maybe it means a new car, a new big screen TV or that new piece of clothing that will impress everyone in the office. I used to think that way, and it always ended in one way – a month or two later I wish I had that money to take care of a true need. Those who are rich view found money – raises, tax refunds and the like as a way to further grow their wealth by saving and investing it. You can do the same, even if it is on a smaller scale. For example, if you get a five percent raise at work and you also have debt, increase your 401(k) contribution by one percent and use the remaining four percent to pay off debt. Not only will it help you pay off debt faster, but you also get to grow your retirement account – both of which help you grow wealth. The final way to get rich is to remove yourself from the consumer rat race. We live in a society surrounded by debt that is always looking for the next, biggest thing. Paying off debt is a great way to grow wealth, but if you’re consumed by the next, biggest thing, you won’t grow true wealth. Instead, live below your means, looking for ways to invest your hard earned money instead of spending it on frivolous things that bring you no value but status. Spending on something you truly value is just fine, but spending to spend will only erode your wealth. I don’t think I’m the only one who thinks of people who seem to have everything as those who are rich. They may be rich, on the surface, but in reality, they’re likely broke and up to their eyeballs in debt. It’s easy to think you’ll never become rich and have the kind of life you want. You tell yourself that’s for certain people and it’s worthless to even try to grow your wealth. That, my friend, is missing the forest for the trees. I guarantee you that many self-made millionaires started in a similar position. However, they didn’t give up and worked to reach their goals – knowing it wouldn’t happen overnight, but wouldn’t happen if they didn’t start. It is possible to build real wealth, but it does take a change in thinking and behavior. The trick to getting rich is to understand that there really isn’t a trick. So much of it comes down having to the right behavior, hard work and a willingness to not care what those around you think. What are some other ways to get rich, in your opinion? Why do you think many self-made millionaires don’t flaunt their wealth? How are you investing in yourself to grow wealth? Focus on big things! If you do anything do this! I started biking to work about 7 years ago and it was one of the single biggest changes I made to improve my finances. It saved me at least $2,500 per year from that one change alone. Not to mention the soft benefits like better health and increased energy. Completely agreed Owen, those big things make a significant difference. Very cool, the savings are more than just annual I’d say – thanks to the long-term effects on biking on your health.